Tampa native Josh Haker has been pressure washing Tampa Bay since 1999. 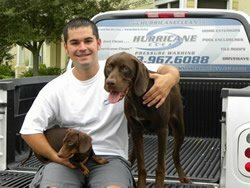 In 2009, he formed Hurricane Clean, Inc., a Florida corporation, serving Hillsborough, Pasco, Pinellas and Manatee counties, and areas in close proximity. Hurricane Clean employees are professional and clean… you don’t have to worry about suspicious characters coming to your home whether or not you’re home when we come to clean. Our workers are licensed and insured employees, not contractors. At Hurricane Clean Pressure Washing we under-promise and over-deliver, with full customer satisfaction being our aim. We provide our pressure washing and roof cleaning services when it’s convenient for YOU. We provide free estimates, and we visit the property we will be cleaning before we estimate every job. Contact us for your free estimate today, and start enjoying a beautiful clean surrounding for months! Call us any day of the week to learn more about our services or to schedule an appointment for a FREE estimate. We have a satisfaction guarantee that means you can rest assured that your surface will be cleaned to your satisfaction before you pay us a dime! We are licensed and insured for your protection. ...the BEST pressure cleaning for my home I have ever experienced! You were on time, very neat, reasonably priced, and did extra work when you saw something that needed cleaning. I'll be giving you a call for all my future pressure cleaning. THANK YOU! Still have unanswered questions? Feel free to call our office or simply submit your questions to us through our contact form on our contact page. A representative will be happy to assist you! Don't want streaks on your driveway? That's why we use professional equipment to ensure an even clean surface making everything look like new. 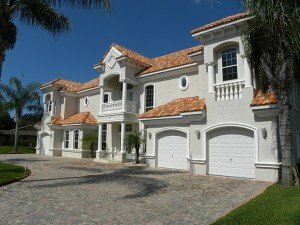 Make your home look new, again... contact Hurricane Clean for your professional pressure cleaning solution. You want proof? Just take a look at our before/after photos.